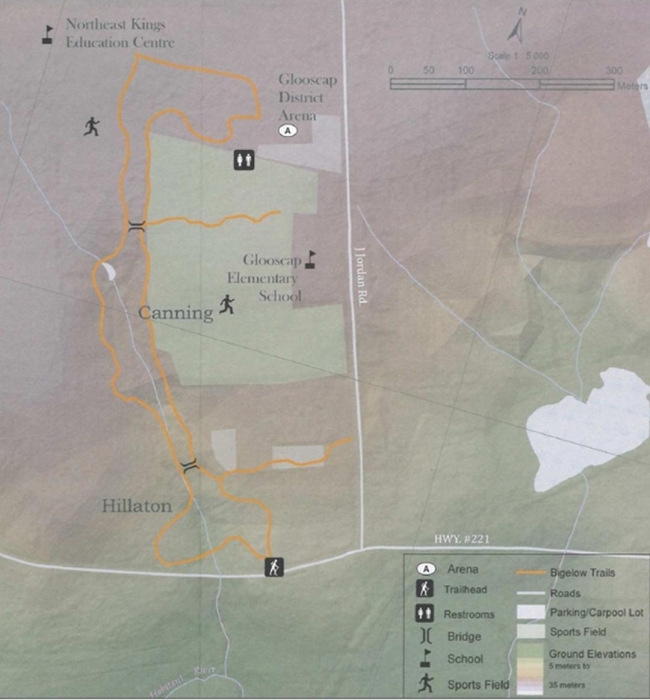 Officially opened in September of 2011, the Bigelow Nature Trail loops from behind the soccer field at Northeast Kings Education Centre on Bains Rd. and winds down through the woods to Hwy 221. There are markers designating the local foliage along the path as well as foot bridges and an outdoor fitness centre at the exit by the football field on J. Jordan Rd. The trail is open year-round for all foot walkers. Please keep dogs on leash.